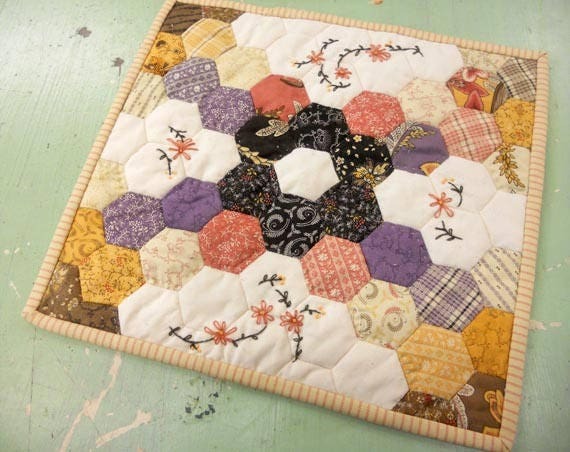 PDF Candy and Hexies...pattern designed by Mickey Zimmer for Sweetwater Cotton Shoppe. 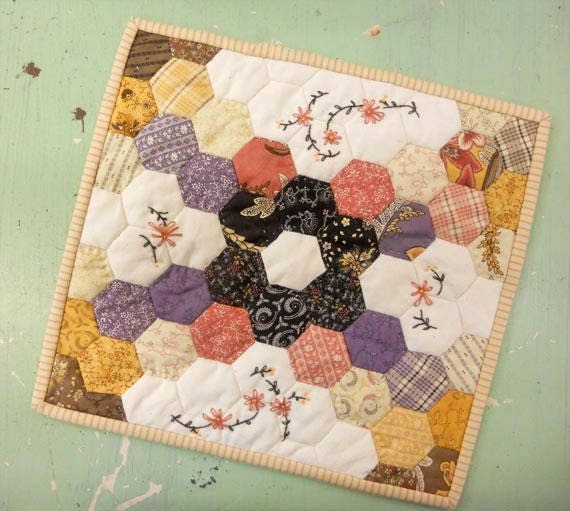 Candy and Hexies is a scrumptious little topper measuring just 12 x 13 inches. Perfect for a beginner English paper piecer or the advanced. This little project is sure to please.